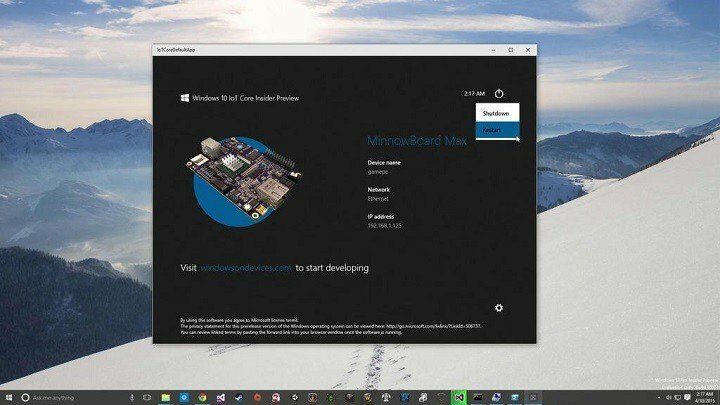 If you own a Raspberry Pi 2, and you want to install Windows 10 on it, you’ve came to the right place. In this article we’re going to show you how to install Windows 10 on Raspberry Pi 2, and why you should do it. Microsoft did a great thing when it introduced its IoT Core version of Windows 10, so since you have the opportunity, you definitely should use this free OS. But what exactly Windows 10 IoT Core is? Windows 10 IoT Core is a ‘stripped-down’ version of Windows 10, which is used in smaller, low-cost pieces of electronics, like Raspberry Pi 2. Of course, you won’t be able to use Raspberry Pi 2 for some more demanding tasks, like playing modern games, but it is very useful for working on some simpler projects. So, find out below how to install Windows 10 Iot Core on your Raspberry Pi 2 device. If you want to find more instructions, you can also check out Microsoft’s GitHub page with additional info. It is great to see that Microsoft decided to support Raspberry Pi project with releasing a new operating system for it. Combination of Raspberry Pi and Microsoft Windows will surely bring a lot of benefits to education and computer science.